I adore food narrative. 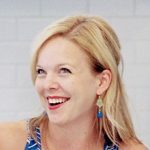 I love podcasts about food, I love reading blogs about food, and flipping through the pages of cookbooks is truly one of my greatest pleasures. I especially love hearing the backstory behind recipes that are near and dear to cooks and chefs, whether they evoke some cherished memory or were passed down through family over generations. I wish so dearly that I had my own family recipes but it simply isn’t the case. My grandma that cooked made amazing spreads of food, but never really had recipes to give me since she didn’t write things down. I remember her pierogis and strawberry jam pretty well, and massive amounts of cabbage rolls (which I hated), but what I remember most out of all the foods she ever made me is her deviled eggs. This isn’t to say that her deviled eggs were exceptional or different than most I have tried, but every year she would bring a huge platter of them to Thanksgiving. I wasn’t a fan of most Thanksgiving foods through my childhood into adulthood, and that platter of eggs was without a doubt the thing I looked forward to most about the holiday. Grandma’s eggs are what I consider the gold standard. 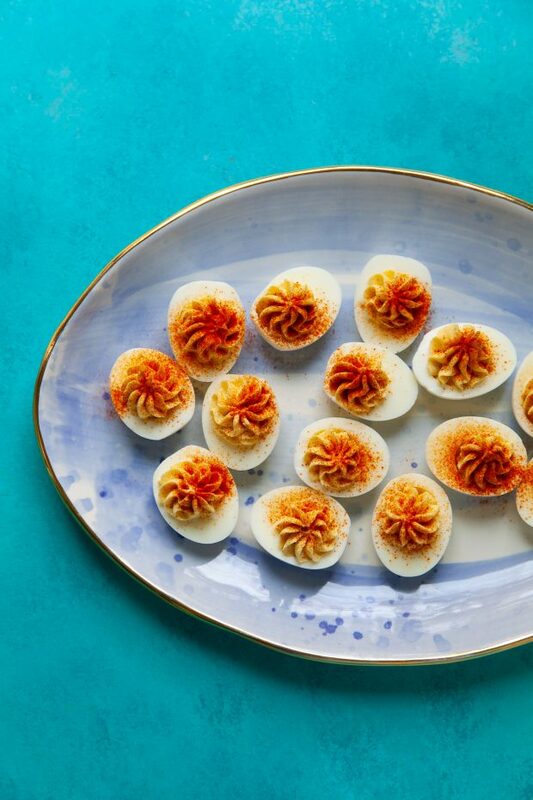 I’m a purist when it comes to deviled eggs and I don’t want you mixing in a pinch of sugar or pickle relish or any other “flair”, please and thank you. 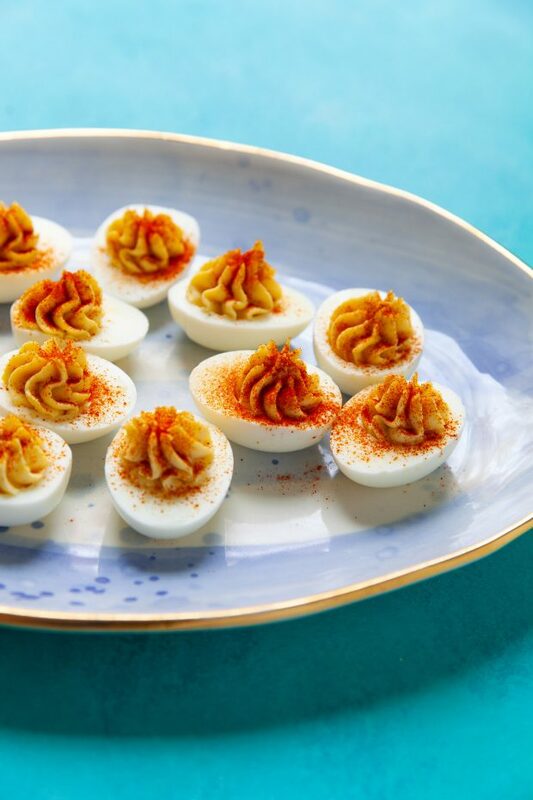 Eggs, mayo, mustard, salt and pepper is all you need for the irresistible bites I love. Since Grandma didn’t write anything down and never humored me when I tried to get hard details out of her, this isn’t her recipe. But it’s the one I’ve been making for over ten years, that have become a food my own family loves and maybe one my kids will make someday. It makes me smile to imagine it now. Bring a medium saucepan of water to boil. Once boiling, add the cold eggs to the water, taking care not to crack the shells. Let boil for 11-12 minutes. Use a slotted skimmer to transfer the boiled eggs to an ice water bath. Let chill for 5-10 minutes. Remove the eggs from the ice bath. Gently crack and peel away the shells, doing your best to leave the whites intact. Slice the eggs in half lengthwise and pop the yolks into a small-medium bowl. Add the mayonnaise, mustard, salt and pepper to the bowl with the yolks. Mash until smooth with a handheld mixer or two forks (I always use a mixer on high speed.) Taste the yolk mixture for seasoning and adjust as necessary. If the mixture is too thick, mix in a teaspoon of milk or cream at a time until it has reached your desired consistency. Spoon the mixture into the now-empty whites of the eggs, or get your fancy on and pipe it from a pastry bag fitted with a decorative tip. Dust the tops with paprika as desired. Refrigerate until ready to serve.